There has long been interest in whether monoamine oxidase type B (MAO-B) inhibitors slow progression of Parkinson's disease (PD) and improve long-term outcomes. Teva Pharmaceutical Industries Ltd. announced today that a number of abstracts will be presented during the 17th Annual International Congress of Parkinson's Disease and Movement Disorders in Sydney, Australia, June 16-20, 2013, also known as the Movement Disorders Society. Teva Pharmaceutical Industries Ltd. announced today enrollment of the first patient in the MODERATO study - a Phase IV clinical study designed to evaluate the effect of AZILECT (rasagiline tablets) on cognitive function in adults with mild cognitive impairment (MCI) in Parkinson's disease (PD-MCI). Teva Pharmaceutical Industries Ltd. today reported results for the quarter ended September 30, 2012. Teva Pharmaceutical Industries Ltd. today reported results for the quarter ended March 31, 2012. Teva Pharmaceutical Industries Ltd. today reported results for the quarter and year ended December 31, 2011. The drug, ladostigil, is a molecule that combines components from the existing drugs Azilect and Exelon. 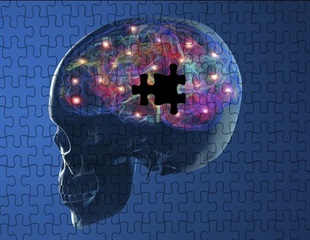 Teva's Azilect, for the treatment of Parkinson's disease, was developed by Prof. Emeritus Moussa Youdim of the Technion-Israel Institute of Technology. Azilect is the only anti-Parkinson's drug that has proven to have a disease-modifying effect. Novartis's Exelon was developed by Prof. Marta Weinstock-Rosin of Hebrew University to treat Alzheimer's disease. Teva Pharmaceutical Industries Ltd. today reported results for the quarter ended September 30, 2011. Teva Pharmaceutical Industries Ltd. today reported results for the quarter ended June 30, 2011. Teva Pharmaceutical Industries Ltd. today announced that several new studies further support the efficacy and safety of the company's innovative central nervous system products. Teva Pharmaceutical Industries Ltd. today reported results for the quarter and year ended December 31, 2010. Danish-based H. Lundbeck A/S, a pharmaceutical company specialized in central nervous system (CNS) disorders, reports third quarter revenue of DKK 3,619 million, an increase of 7% compared to the third quarter results of 2009. Teva Pharmaceutical Industries Ltd. today reported results for the quarter ended September 30, 2010. Watson Pharmaceuticals, Inc. today confirmed that its subsidiary, Watson Laboratories, Inc., filed an Abbreviated New Drug Application (ANDA) with the U.S. Food and Drug Administration (FDA) seeking approval to market rasagiline mesylate 0.5 and 1.0 mg tablets. Teva Pharmaceutical Industries Ltd. and H. Lundbeck A/S (Lundbeck) today announced newly published long-term data on Azilect(rasagiline tablets) from the TEMPO study and its open-label extension. The findings confirm the long-term efficacy, safety and tolerability of Azilect® in patients with Parkinson's disease (PD) and further demonstrate the benefits obtained with early treatment initiation. The data was published in the June 2010 issue of the International Journal of Neuroscience. Teva Pharmaceutical Industries Ltd. today reported results for the quarter ended June 30, 2010. Teva Neuroscience Inc. today announced the publication of a study demonstrating the selectivity of Azilect® (rasagiline tablets) for inhibition of MAO-B (monoamine oxidase-B) at the maximum approved dose of 1 mg/day. The data was published in the Journal of Clinical Pharmacology OnlineFirst on May 5, 2010. Teva Pharmaceutical Industries Ltd. today reported results for the quarter ended March 31, 2010. Teva Pharmaceutical Industries Ltd. today announced results from the placebo group analyses of the ADAGIO study that were presented at the 62nd Annual Meeting of the American Academy of Neurology. The ADAGIO study stands out from other Parkinson's disease trials as it is the largest clinical study conducted in patients who were still in the very early stages of their disease course (average time from PD diagnosis of 4.5 months). Teva Pharmaceutical Industries Ltd. today announced that several new studies supporting the company's innovative central nervous system portfolio will be presented at the 62nd American Academy of Neurology Annual Meeting in Toronto, April 10-17, 2010.